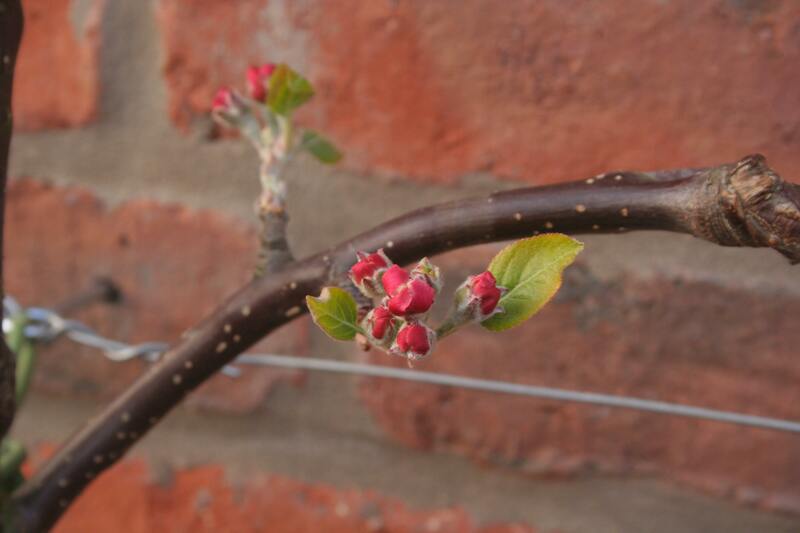 The term espalier refers to the way fruit trees are trained to grow against a wall. It looks stunning and makes the tree easier to prune and the fruit easier to pick. 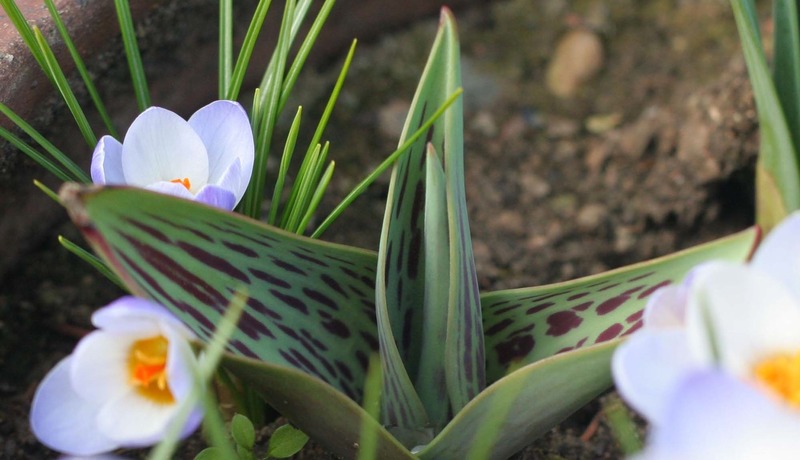 I love this decorative method and it’s often seen in traditional walled kitchen gardens – luckily it’s also perfectly suited to smaller gardens too. This fellow looks quite wimpy at the moment but in a few years he’ll look fabulous hopefully! I’m thankful that I was able to buy a ready-trained tree – getting the shape right initially is the hardest thing apparently and I’m not sure whether I’m brave enough to start one from scratch yet. 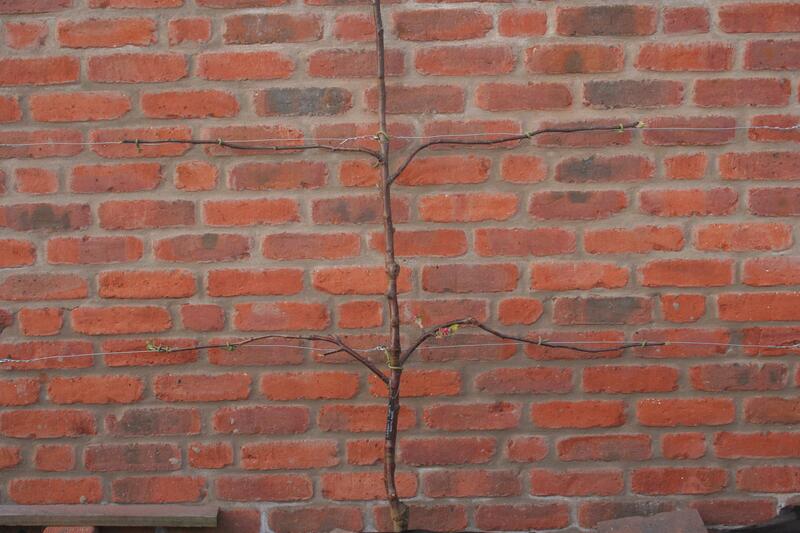 The espalier tree has two tiers of branches trained horizontally on either side of the stem. My husband fixed two horizontal wires into the wall and secured them tightly. We ensured that the tree was planted at the same height as the soil mark on the stem, it was firmly heeled in and then watered well. The branches were then secured to the wire with soft ties. The blossom is really beautiful and I’m looking forward to the next few weeks. This dessert variety is from the late Victorian period and it apparently tastes very “appley” which is somewhat reassuring!! This baby rabbit was found under some scaffolding planks next to the cars – he was covered back up and left alone… so cute! My husband rigged up some CCTV in the garden and our suspicions were confirmed… it was a rabbit! Our first job of the weekend was to buy some narrow gauge wire fencing to act as a barrier. We then had a good look around to make sure we weren’t about to barricade the rabbits in the garden! 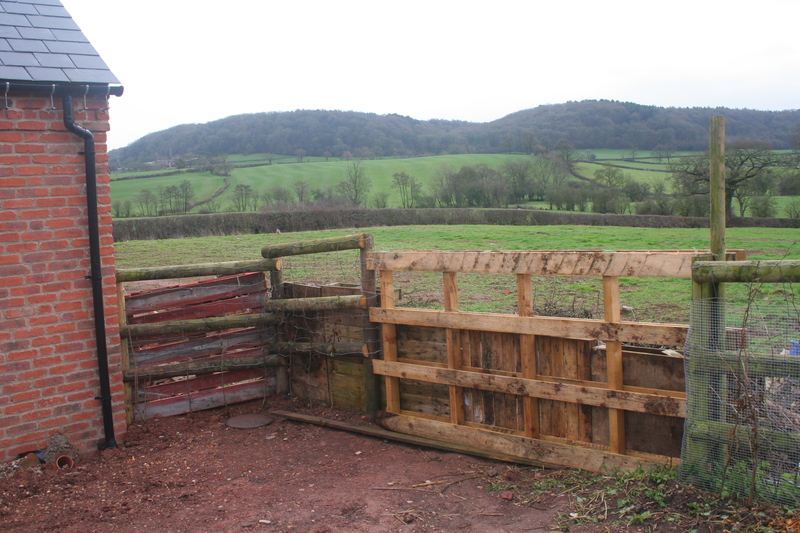 We still need to buy a field gate to gain access to the paddock… so rather than have a large hole in the fence we cobbled together a sturdy fence made from pallets. 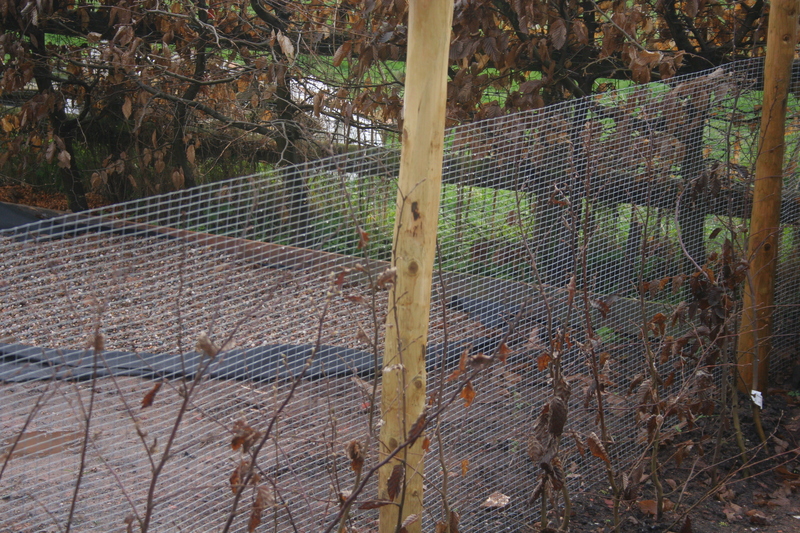 It’s not pretty but it should stop the rabbits! 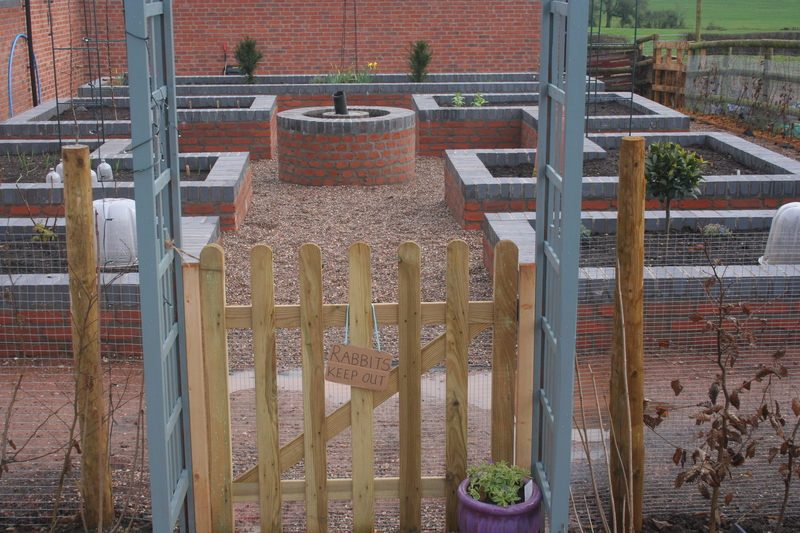 The entrance to the Kitchen Garden is through a wooden archway so this was completed with a small wooden gate. We finally sprinkled some extra strong garlic juice around the perimeter as rabbits apparently hate this stuff. It almost felt as if I was performing an exorcism at this stage! I would be very interested to hear if anyone has any ideas to deter these bunnies – without resorting to chemicals, traps or shot guns! 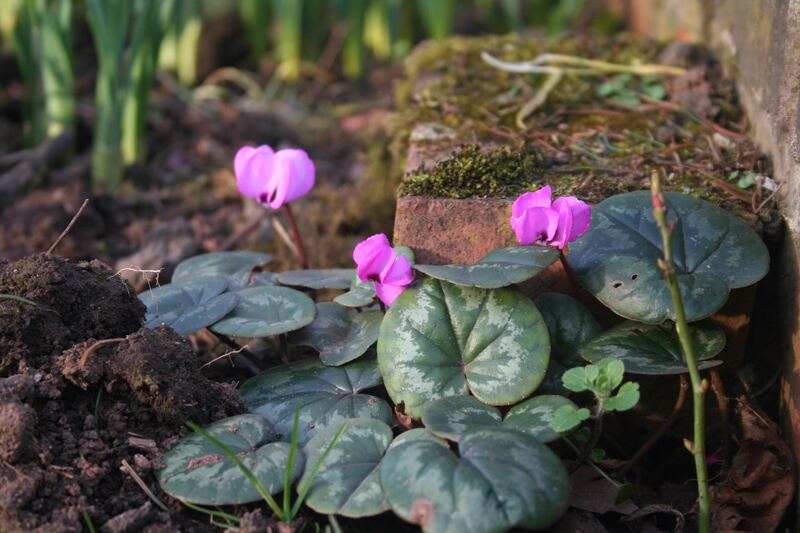 The days are definitely getting longer and I’m amazed how much life there is in the garden. 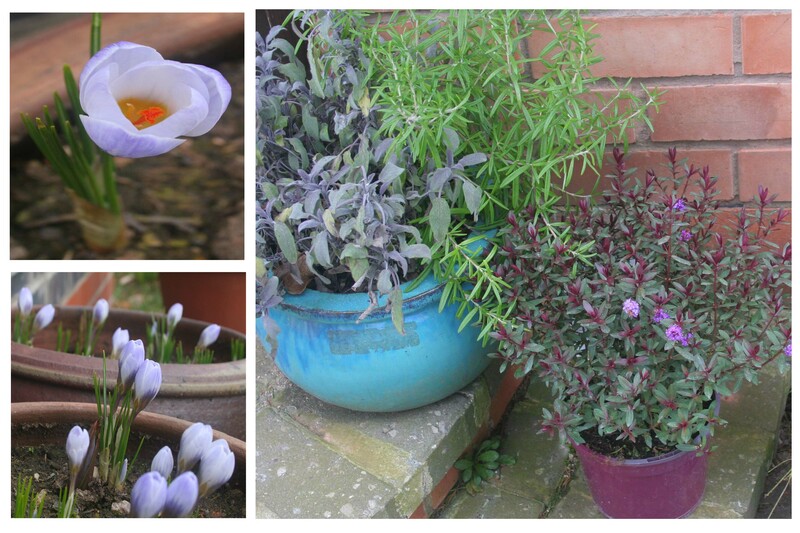 Each evening after work I make a cup of tea, put on my boots and go and say hello to the plants. 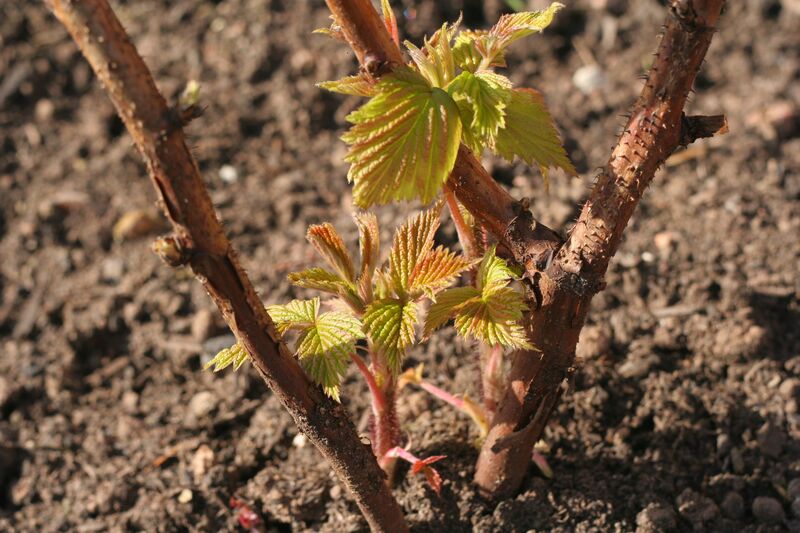 The recently planted Polka raspberry canes are starting to produce leaves now. I have to constantly remind myself about their shallow roots so that I’m gentle with the hoe… I’d hate to chop their little toes off! 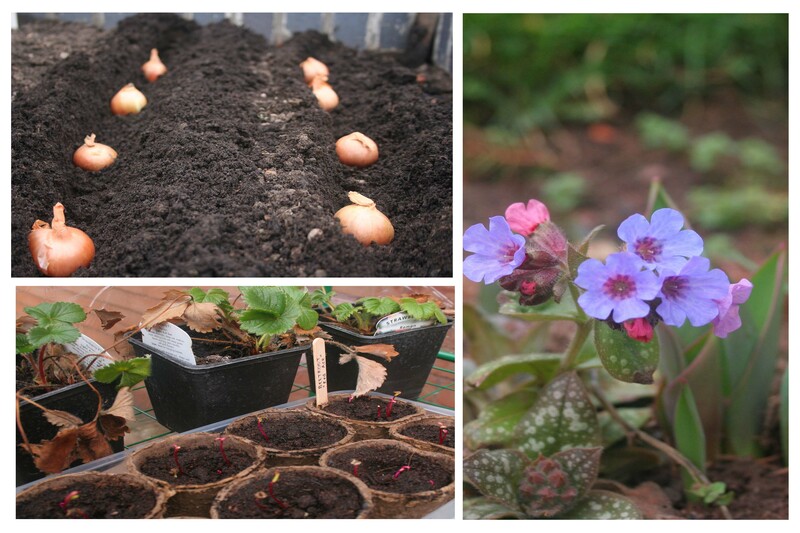 There’s not a lot of finesse to my style of gardening so anything that survives is generally recommended! I’m just so excited about seeing new, fresh green things that I even snapped a picture of a dandelion! 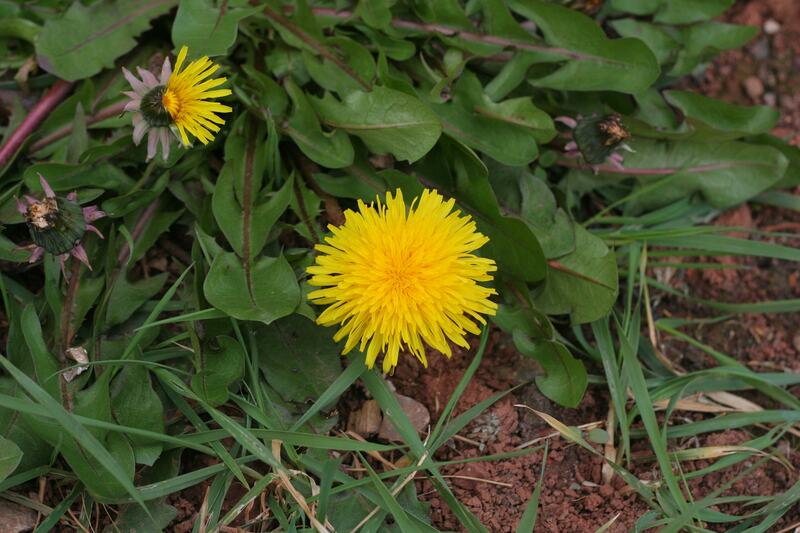 I will regret this very soon as these horrible little weeds torment me beyond belief throughout the Summer… I’m sure that they even duck when the lawn mower skims over because when I look behind me all that is left is a manicured lawn and several dandelions laughing heartily! The dandelion bud that is just coming into flower above looks a little strange, almost like it has been edited, but that is how it was opening (I’m not clever enough to edit my photos yet!). I’m doing quite well with my Broad Bean aversion so, who knows, I may learn to love these little fellas too in time! Chickens are the most delightful creatures! We originally had eight when we moved house five years ago but only have four at the moment. We joke that we’re running a retirement home for chickens so I’m looking forward to getting some more youngsters this Spring. We recently lost a couple of our ladies to a hungry fox – I’m completely to blame as I decided it would be a good idea to let them scratch about in the garden…. RIP Jemima and Bernie. 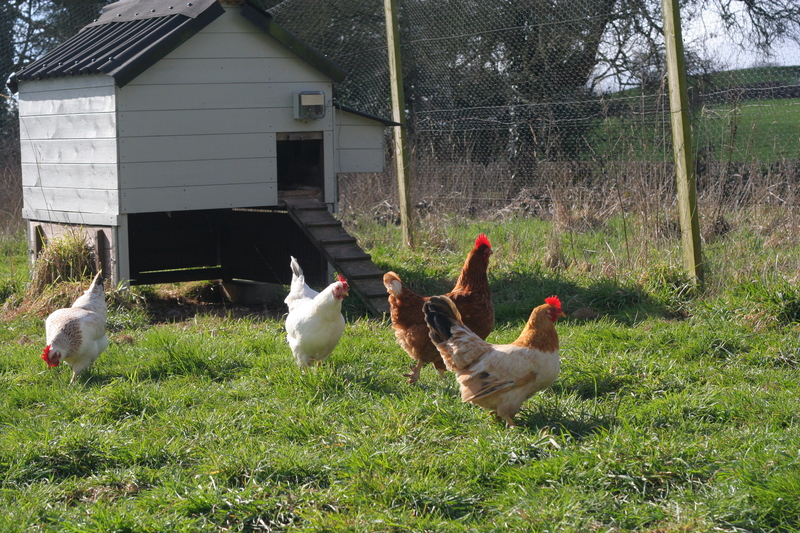 So here are the remaining ladies, safely fenced in, but trying to escape every time they get fed! Matilda is most definitely the boss and keeps the others in order and she doesn’t suffer foolish behaviour from either chickens or humans! Next is Goosey, ever since she was a fluffy chick she has always sounded more like a goose than a chicken, she has always been sensible one. Tallulah is my husband’s favourite – she likes cuddles but isn’t too bright (what does this say about his taste in women?). Finally, there is Doris who is always the most inquisitive and eager to explore… which is a bit of a problem when a lawn tractor is heading towards her! 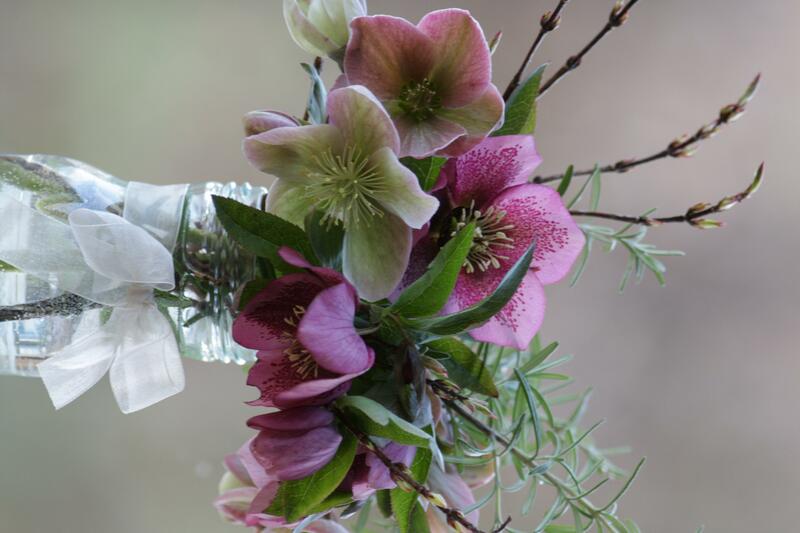 I had an empty jam jar and five minutes to spare so I picked a couple of Hellebore stems and brought them indoors. 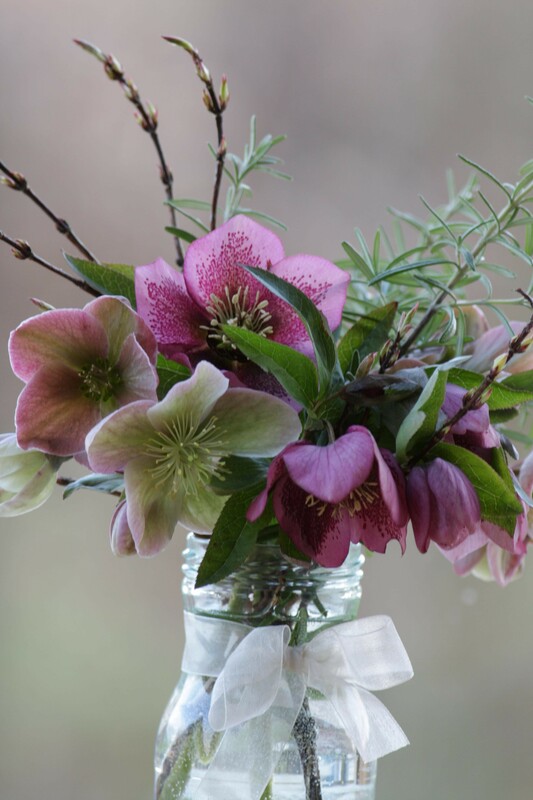 I dipped their stems in boiling water for about 20 seconds (it sounds far crueller than it is), placed the flowers in a jar and added a sprig of Rosemary and Cotinus. I have a drawer full of ribbons, buttons and other oddments that come in handy for jazzing up jam jars! I must say that whilst I love to see the Spring flowers in the garden I also like to bring a few in the house to enjoy them even more! 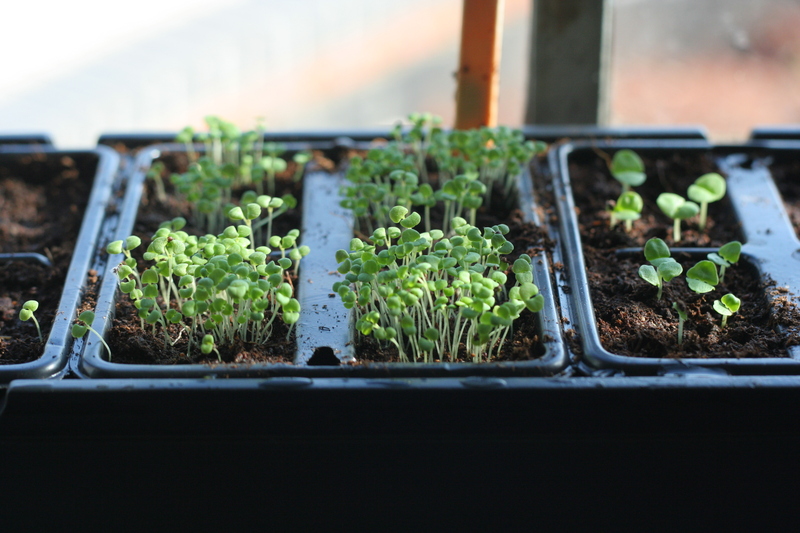 I love adding herbs to flowers so I like to have plenty around – all the seedlings are doing well but the Thyme seems particularly fiesty! 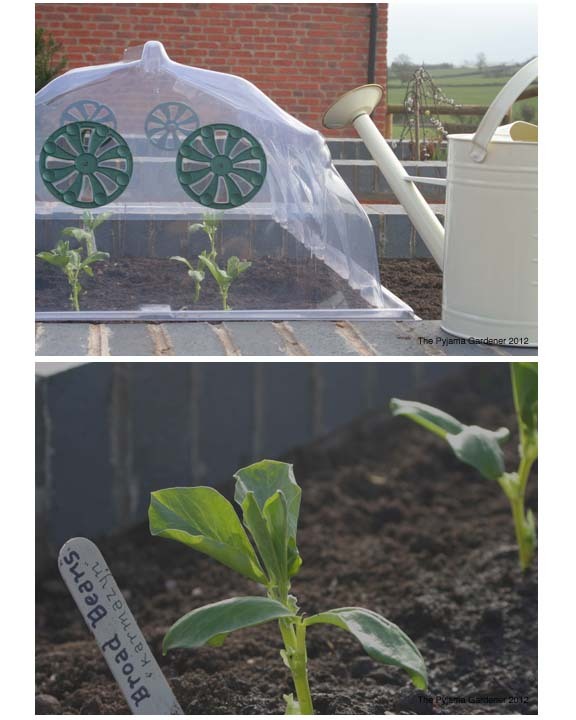 And as for the Broad Beans… they have been safely transplanted and seem to be doing well. I’ve had some lovely suggestions for recipes so, who knows, I may actually like them after all!